LG and Sprint have always had a tepid relationship; the manufacturer has had a continued presence on the carrier, but Samsung and Sanyo have always taken top billing and LG’s offerings were usually limited to one or two devices. The LG LX370 joins the Rumor 2 and Lotus in Sprint’s lineup, giving LG more of a presence than they’ve ever had and perhaps marking the start of a closer relationship with the #3 carrier in the run-up to a featured Android device later this year. 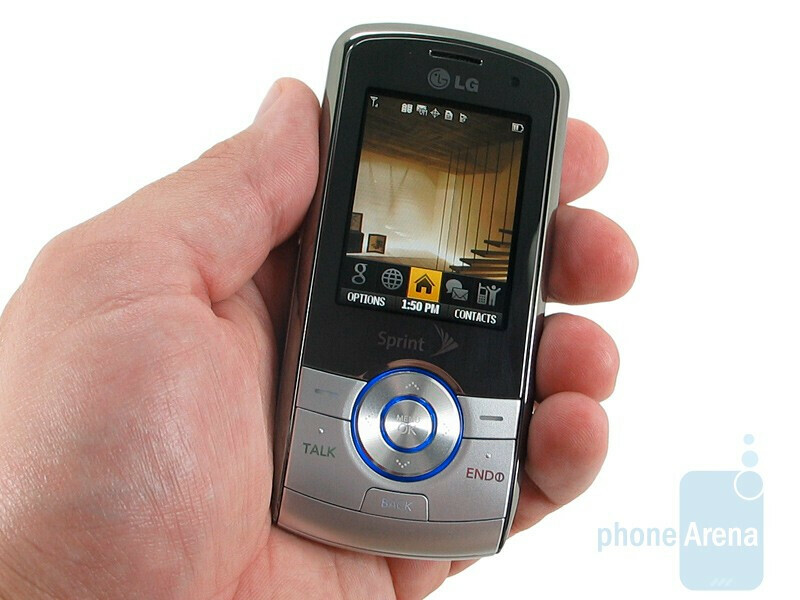 Nevertheless, the LG LX370 is a mid-range slider with a 2-megapixel camera, EVDO and Sprint’s One Click UI. Included in the box you’ll find the microUSB AC adapter and a 1GB microSD card. The LX370 follows the simple slider design. The front contains the 2” QVGA display and navigation cluster, including the 5 way directional pad, soft keys and Send, End and Back keys. Sliding it open is very smooth with good resistance then spring. There is a simple 12 key dialpad below. The bottom of the phone tapers in, solving one of the biggest issues we see with slides: overhang. Often this interferes with the first row of keys, but not so on the LG LX370. 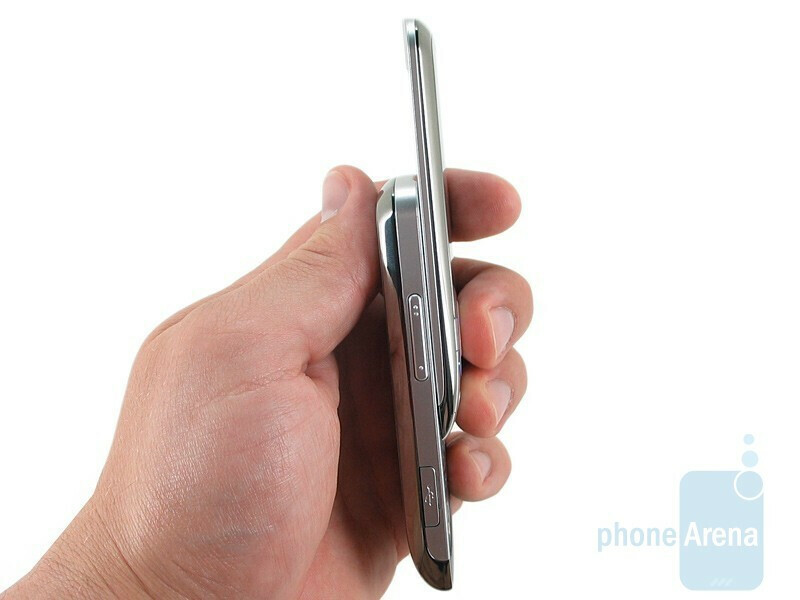 All of the keys on the phone are large enough and offer good feedback. 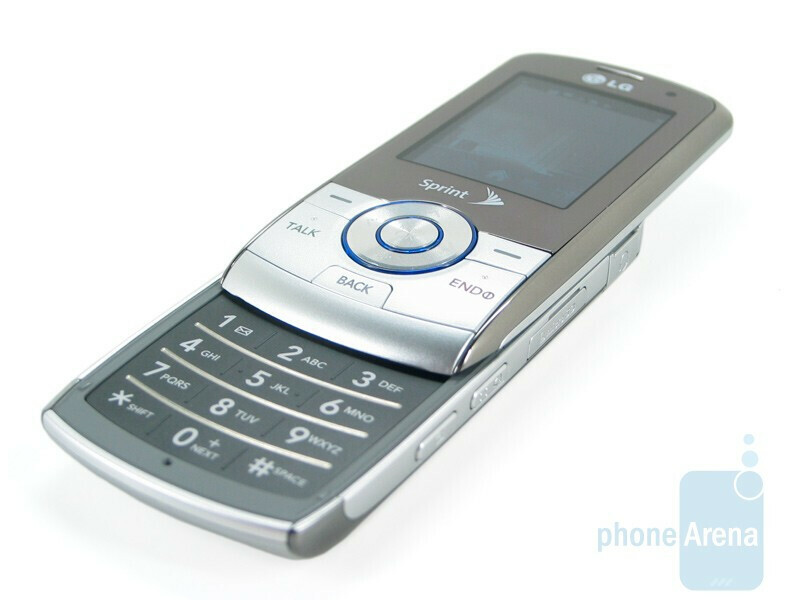 T9 texting is downright pleasant on this phone. You can compare the LG LX370 with many other phones using our Size Visualization Tool. 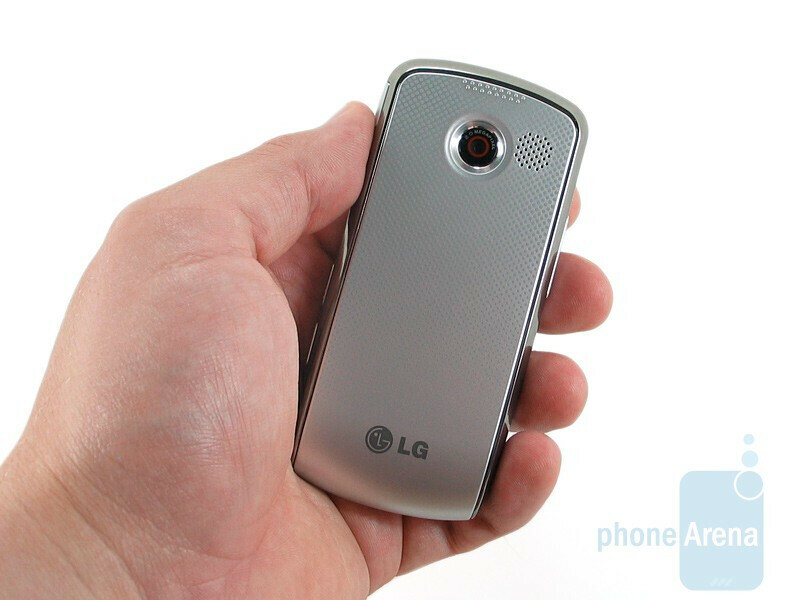 The LG LX370 has a very good and solid feel to it. As we said the slide is reassuring, a sentiment that can be used to describe the overall build quality as well. The display is crisp, but too small for our tastes. There is a lot of room around it, and for the price that they are charging ($100 on contract) we would like to see something bigger. 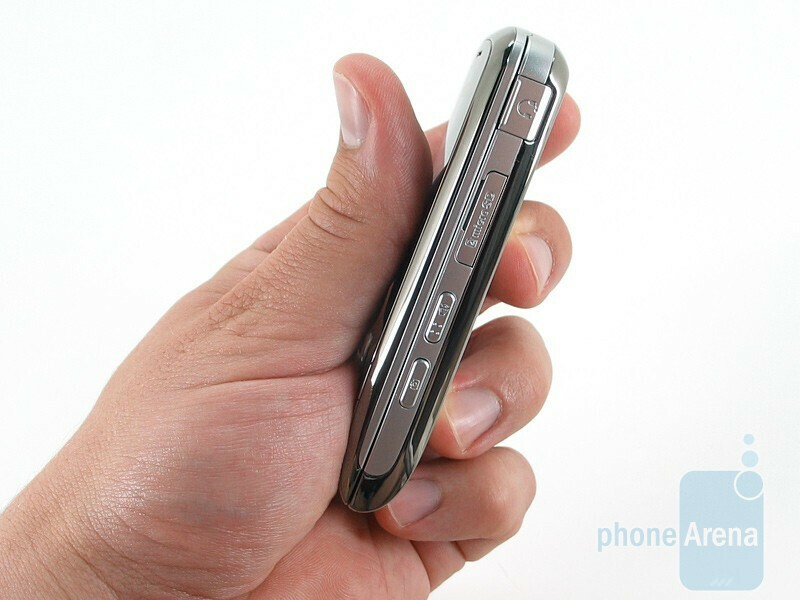 On the left side of the phone is the volume rocker and microUSB port. 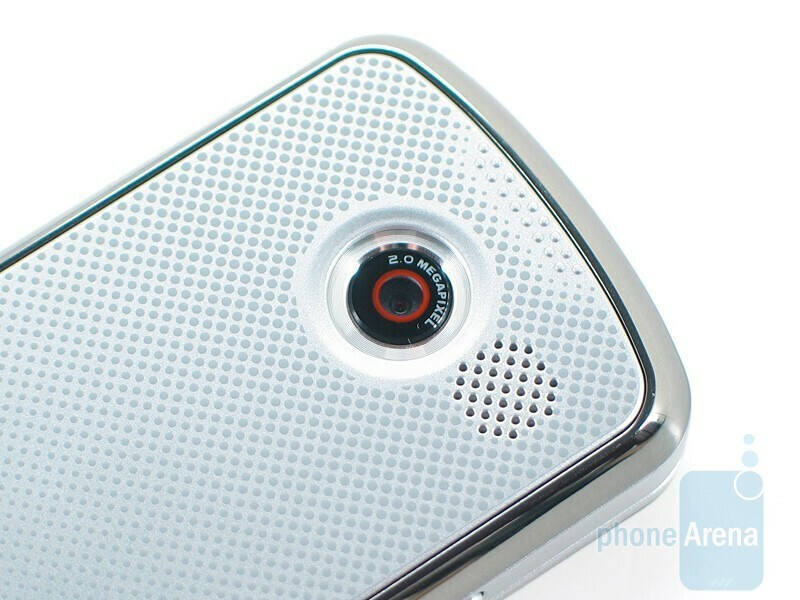 To the right you’ll find a 2.5mm headset jack, microSD slot, speakerphone/voice command button and camera key. 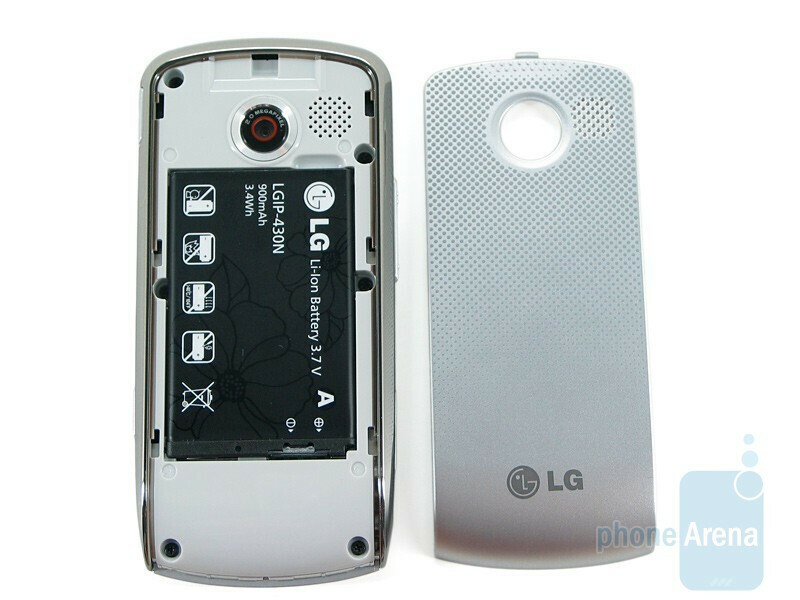 The back is very plain, with the small 2 megapixel camera perched at the top and the single speaker off to its right. The door is tricky to get off if you don’t use the textured part at the top, but the only reason you’d need to remove it is to get to the battery. We’re impressed with the LG LX370. It’s not going to win any design awards, and we think it’s overpriced for what it is, but the design is very good. It feels great in hand, it’s small enough to slip into a picket and we don’t foresee wear being an issue. I have had this phone for about 7 months. For about 3 months, it was a good phone,suitable for people who don't use a lot of data. But then, the problems started. For some inexplicable reason, battery consumption was way up and very rapid, and ,I started receiving charges for data that I wasn't using. What would happen is that when I toggle to the tools tile, sometimes it would jump to the google tile on its own and "bam", data charge. Sprint could not explain why this was happening. They gave me some credits, but later stopped. I eventually had to switch my service to another phone before I was nickel and dimed to death. 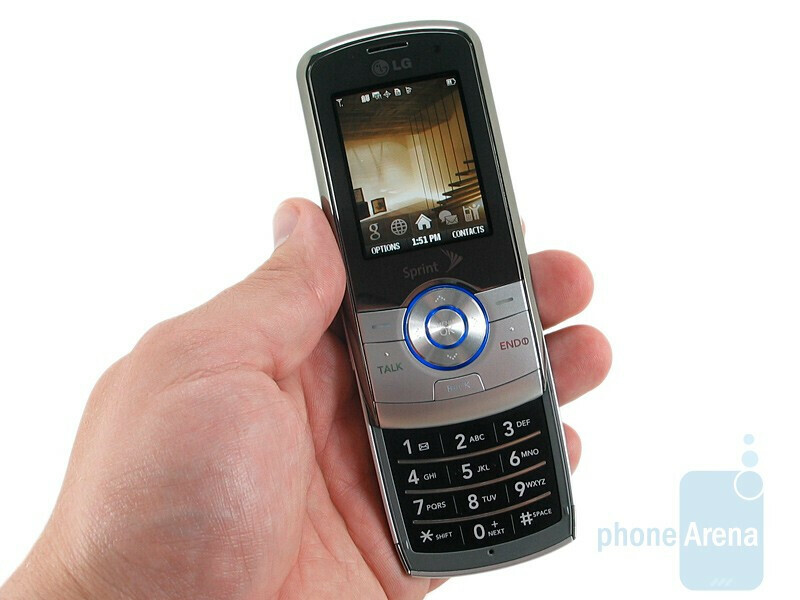 I was very disappointed with what started out to be a very promising phone. Perhaps they will fix this glitch in the future, but my relationship with the lx370 is over.